Amir Sher Ali Khan (reigned 1863-1866) introduced the first printing press to Afghanistan in the 1870s, using lithographic printing equipment imported from India. The Royal Printing Press, which produced letterheads, books and other material, was established by Amir Abdur Rahman Khan (reigned 1880-1901). In the first half of the 20th century about 900 titles were printed in a number of printing houses in Kabul, and this output increased substantially in 1950-1965, during which period an additional 400 titles were printed. After 1978, the conflict had a direct impact on the indigenous publishing industry, which was further set back by the destruction by factional fighters of one of Kabul's largest printing presses, the Ministry of Information and Culture-run Ariana Press. For much of the 1990s, most official publishing, including school textbooks, was undertaken in Quetta and Peshawar in Pakistan. 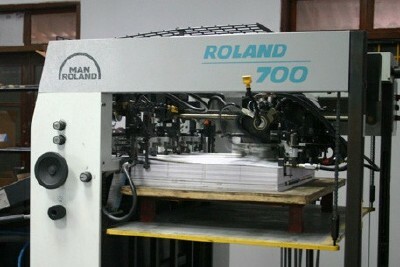 Since 2002, several new private printing houses have been established in Kabul, mainly equipped with Pakistani and Iranian printing machines. While most of these new presses cannot produce products to international standards, the best are able to compete with Pakistani presses, which have long dominated printing for the Afghan market. Until resources are available to reconstruct and re-equip the various government-owned presses, and to ensure the necessary training and effective management, these are likely to remain marginal. The Investment Law adopted in 2006 allows for foreign ownership of Afghan enterprises, and there has been a move towards promoting privatisation and corporatisation of these government presses, as has taken place in certain other sectors. Use the navigation bar on the right to make direct contact with organisations and individuals working in the publishing sector.